Repearman! (parts 1 and 2). Categories: angry pear, Pear of the Month, pear people | Tags: angry, angry pear, annoyed, cartoon, comic, disaster, drawing, fruit, funny, humor, illustration, Pear, Pear of the month, pear person, pears, repair, repairmen, repear, vote | Permalink. I keep missing Pear of the Month, but instead of skipping a few months, I will just backtrack. This week, the vote is for April. Which one of these Spring Pears will win the most admiration? You decide! Click on the links to see the full comics / posts, then place your vote with the poll on the sidebar. The poll only shows up on the homepage. Or you can just write your vote in the comments. I’ll post the winners in about a week! Thanks for voting! Categories: angry pear, Pear of the Month, pear people | Tags: angry, angry pear, annoyed, bunny, cadbury eggs, cartoon, chokes, comic, cute, disaster, drawing, food, fruit, funny, humor, illustration, Pear, Pear of the month, Pear people, pear pictures, pears, poll, vote | Permalink. Categories: angry pear, Pear of the Month | Tags: angry, angry pear, annoyed, cartoon, comic, disaster, drawing, fruit, funny, humor, illustration, Pear, Pear of the month, pear person, poll, pruning, sick of it, vote | Permalink. 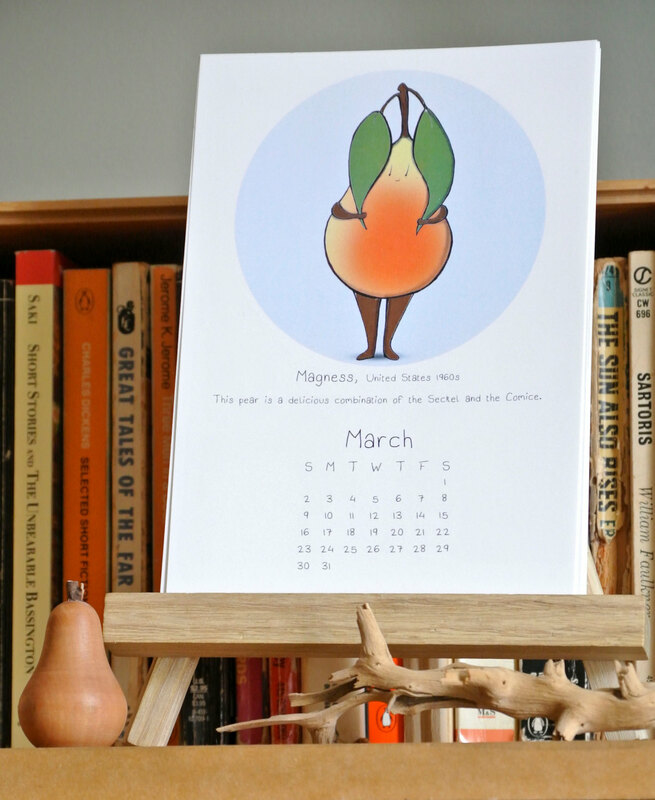 It’s time to elect a pear for the month of March. I’ve gone back through the archives and listed some of my favorites, but feel free to write in your own! You can see all the posts from March here. Click on the links to see the full posts. When you’ve picked your favorite, use the poll on the sidebar of the homepage to vote! Categories: Pear of the Month, pear people | Tags: angry, angry pear, annoyed, cartoon, cocktails, comic, cuddling, cute, disaster, drawing, food, friendship, fruit, fruit flies, funny, hot toddy, humor, illustration, Pear of the month, Pear people, pears, provoke, pruning pears, relaxing, snow plow | Permalink. Categories: Pear of the Month | Tags: angry pear, comic, exorpear, fruit, humor, illustration, Pear of the month, pear person, the exorcist, vote, winner | Permalink. It’s time to vote for January’s best pear! Click the links below and then use the poll on the sidebar (only appears on the home page) to place you vote. You can also write in a pear that isn’t listed. Thanks for voting! Categories: Pear of the Month | Tags: angry, angry pear, annoyed, comic, fruit, humor, illustration, Pear of the month, Pear people, pears, poll, vote | Permalink. Categories: Pear of the Month | Tags: comic, drawing, fruit, humor, illustration, Pear, pear person, Pear Sematary, pet sematary, zombie fruit | Permalink. Time to vote for December’s best pear! Will it be a pear full of holiday spirit or just anger? Click the links below to read the full posts, then vote for your favorite using the poll on the sidebar. May the best pear win! Categories: Pear of the Month, pear people | Tags: angry, angry pear, comic, fruit, humor, illustration, Pear, Pear of the month, poll, vote | Permalink. 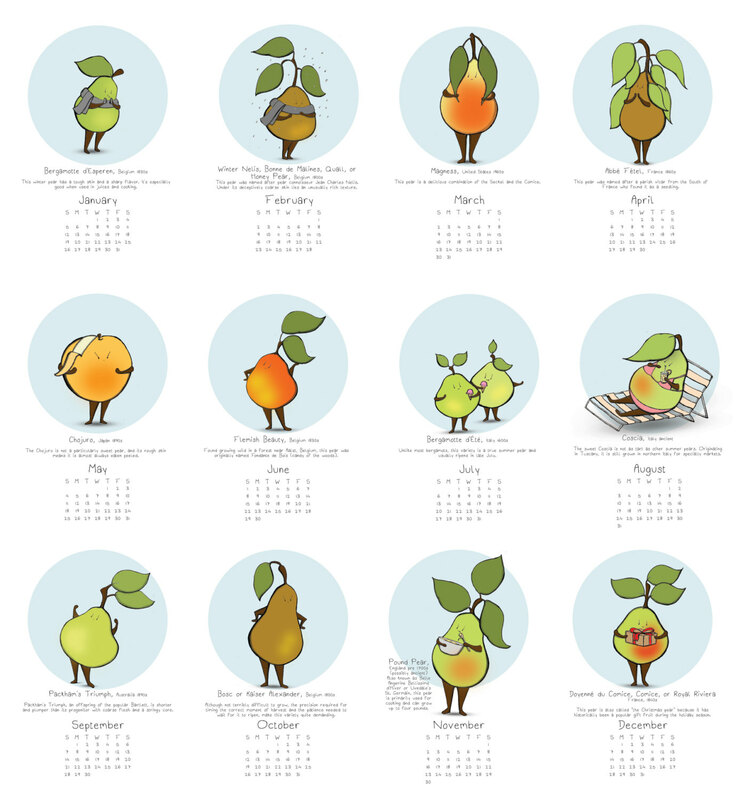 Categories: Pear of the Month | Tags: angry pear, cleopatra, cleopeartra, comic, fruit, humor, illustration, Pear, Pear of the month, pear person, poll | Permalink. Time to vote for November’s Pear of the Month. Click the title below to see the full posts, then use the poll on the sidebar to place your vote. May the best pear win! Categories: Pear of the Month, pear people | Tags: angry pear, comic, fruit, humor, illustration, Pear, Pear of the month, pears, poll | Permalink. Categories: Pear of the Month | Tags: angry pear, bedtime story, cher, comic, fruit, humor, illustration, Pear of the month, Pear people, pears, vote | Permalink. Yes, I missed both August and September, but Pear of the Month is back for October! 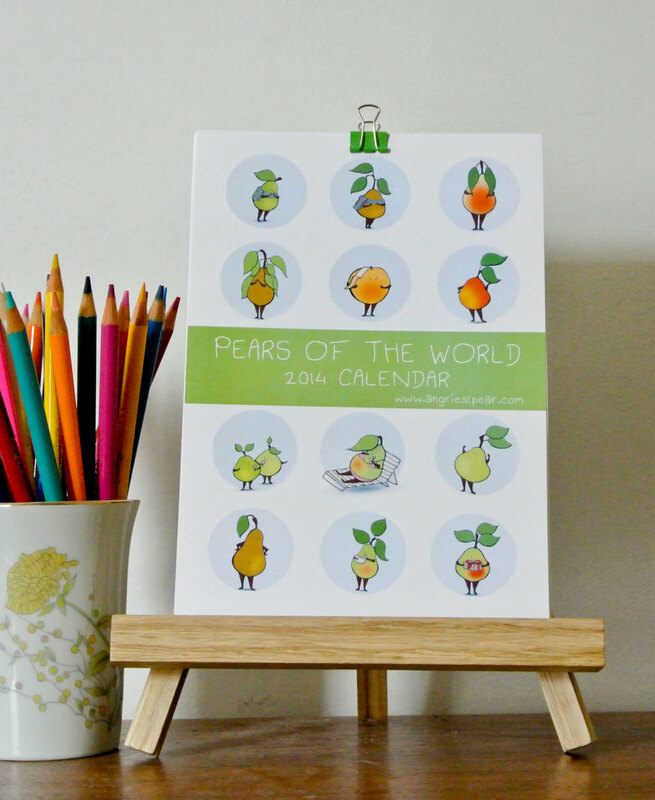 Let’s relive what the pears have been up to last month. Please pearuse the list of candidates below and then place your vote using the poll on the sidebar. Click on the links beneath each image to see the full post. Voting will end in about one week. Categories: Pear of the Month | Tags: angry pear, comic, fruit, humor, illustration, Pear, Pear of the month, Pear people, pears, poll, vote | Permalink. Categories: Pear of the Month | Tags: angry pear, Citizen Kane, comic, fruit, humor, illustration, Pear of the month, poll, winner | Permalink. Categories: Pear of the Month | Permalink. 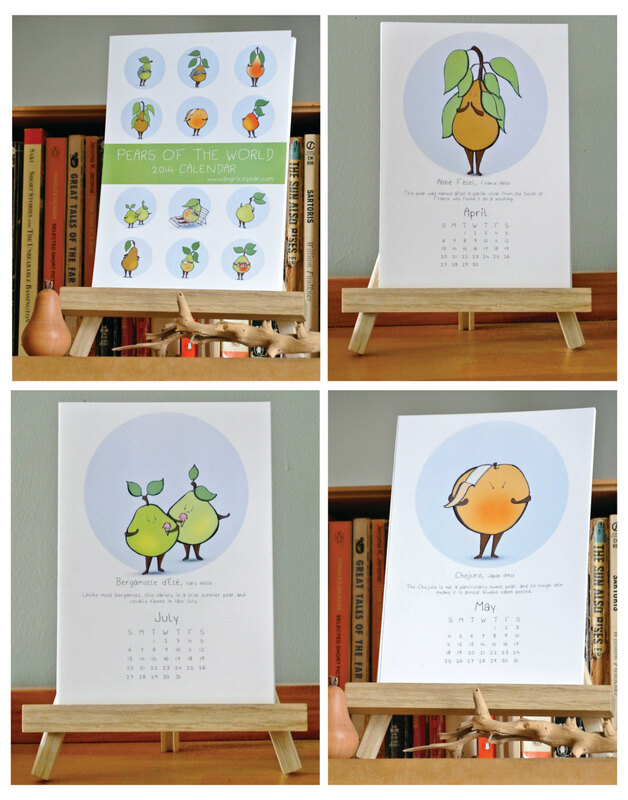 Time to vote for June’s favorite pear. I’ve rounded up some of my favorites from the past month, but feel free to write in any that I’ve missed. Click the links below to review the posts, then place your vote using the poll on the sidebar. Categories: Pear of the Month, pear people | Permalink. 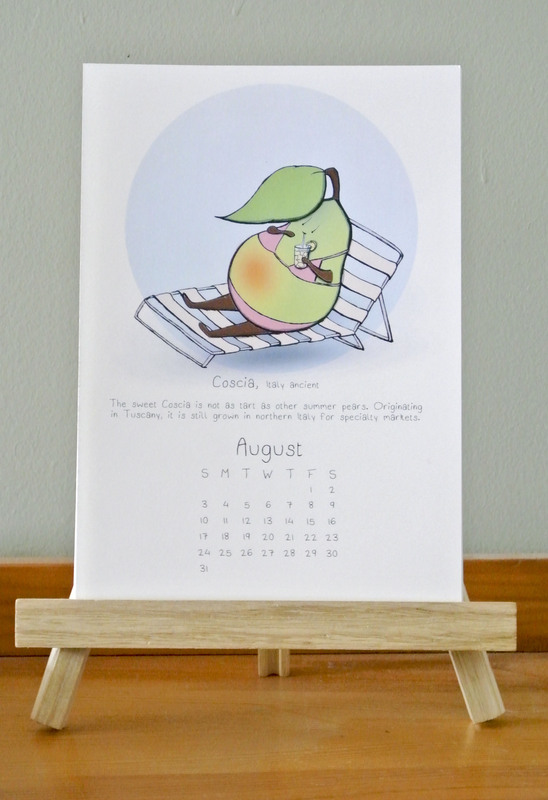 Categories: Pear of the Month | Tags: cartoon, comic, fruit, illustration, Pear of the month, Pear people, pears, romance, romance novels | Permalink. It’s time again to vote for Pear of the Month! Please choose from the list of candidates, then place your vote using the poll on the sidebar. Voting will close in about one week. Click the post titles, for the full post. 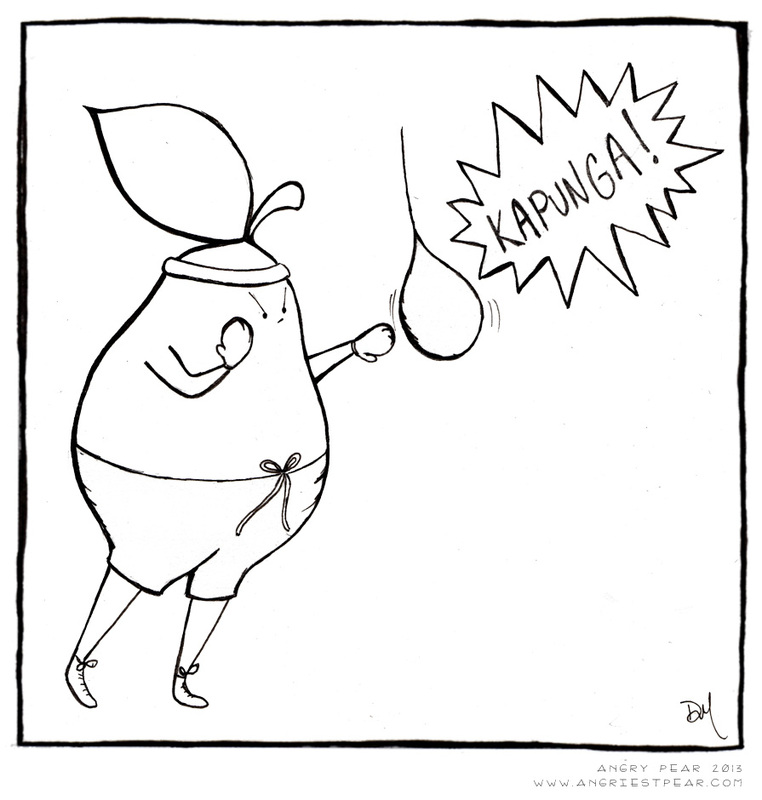 Categories: Pear of the Month | Tags: angry pear, comic, fruit, humor, illustration, Pear of the month, pears, poll, vote | Permalink. 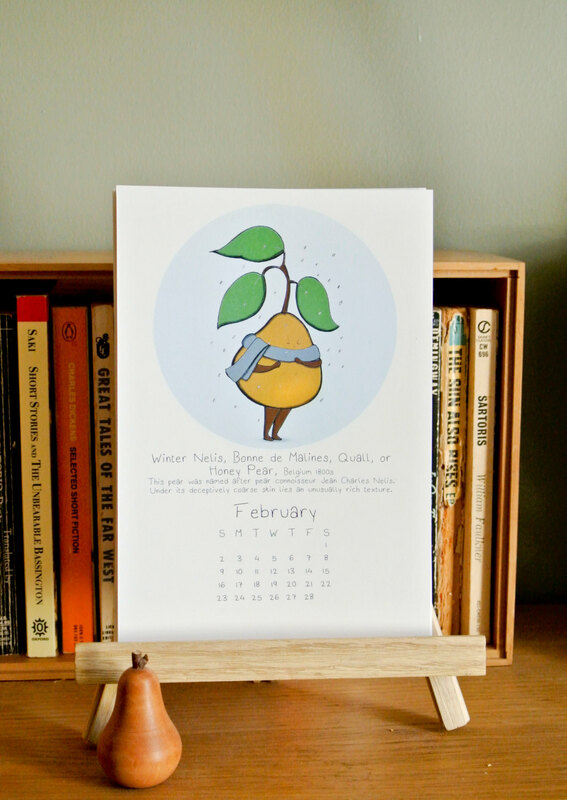 Pear of the Month – It’s a Tie! 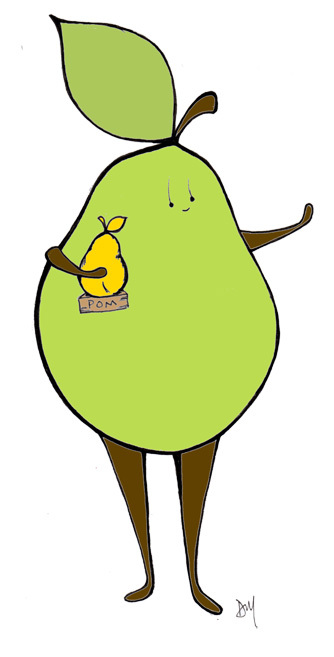 April’s Pear of the Month is a tie between Pears like Romance Novels and Royal Wedding Party! Apparently pears like both passionate reads and a good Royal spectacle! 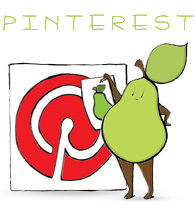 Categories: Pear of the Month | Tags: angry pear, drawing, fascinators, humor, illustration, Pear of the month, Pear people, pears, poll, romance novels, royal wedding party, vote | Permalink. It’s time to vote for Pear of the Month! I’ve selected a list of candidates, but feel free to write in any pears from April. Click the thumbnails below to see the full post, then place your vote using the poll on the sidebar. Voting will end in about one week. Categories: Pear of the Month | Tags: angry pear, comic, drawing, fruit, humor, illustration, Pear of the month, Pear people, pears, poll, vote, voting | Permalink. 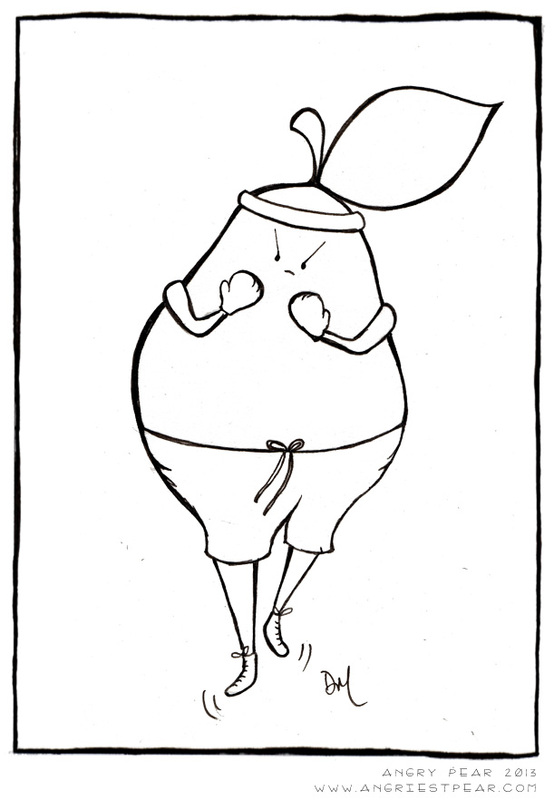 Categories: Pear of the Month | Tags: cartoon, comic, drawing, humor, illustration, Pear, pear person, pear shape, poll, winner | Permalink. Time to vote for Pear of the Month! 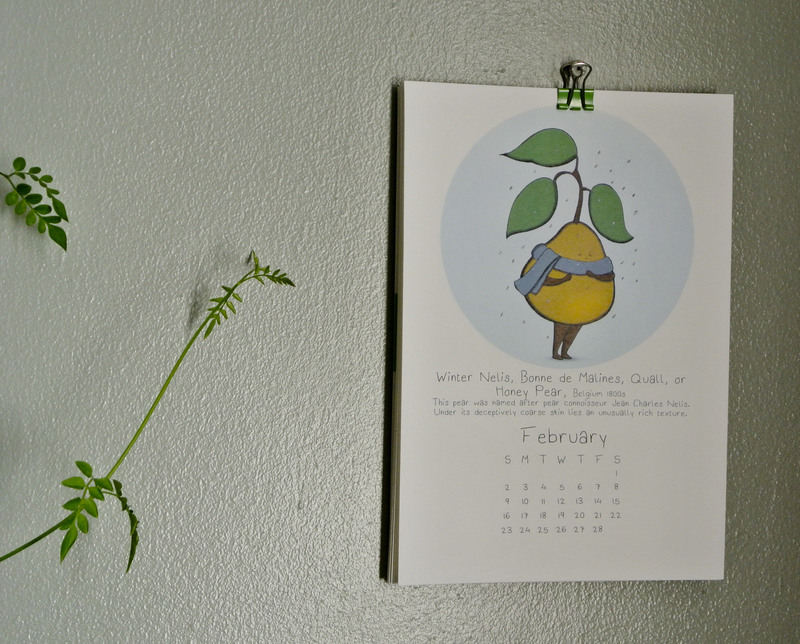 To think I almost forgot about March’s wonderful pears! Peruse the list below (click the thumbnails for the full post), or if none of these pears really do it for you, write-in your own candidate. Use the poll on the sidebar to vote. Voting will end in about one week. Categories: Pear of the Month | Tags: angry pear, comic, drawing, fruit, humor, illustration, Pear, Pear of the month, poll, vote | Permalink. Categories: Pear of the Month | Tags: angry pear, pear of the month winner, poll, vote | Permalink. It’s a bit late in March to be thinking back to February (a month most of us would like to forget), but it is time to vote for best pears of that cold, dark month. Here is a list of candidates, but feel free to write-in any pear that appeared in February. Use the poll in the sidebar to cast your vote. Categories: Pear of the Month | Tags: comic, drawing, fruit, funny, humor, illustration, Pear of the month, Pear people, pears, poll, vote | Permalink. (Click the image to see the full post). Leaf Extensions (one of my pear-sonal favorites was a close second). Categories: Pear of the Month | Tags: angry pear, drawing, fruit, humor, illustration, Pear of the month, Pear people, pears, poll, vote, winner | Permalink. It’s time to vote for the best pear (or pears) of January. Browse the suggestions below, then place your vote using the poll on the sidebar. As always, the candidates below are just suggestions– feel free to vote for any pear posted in January. Categories: Pear of the Month | Tags: angry pear, comic, humor, Pear of the month, poll, vote, voting | Permalink. Eggnog! Click here to read the full story. She decided to celebrate her victory with more eggnog! New Year’s Eve was a close second. Click here to read that post. Categories: Pear of the Month | Tags: celebration, drawing, eggnog, Pear, pear of the month winner, pear person, vote, winner | Permalink. 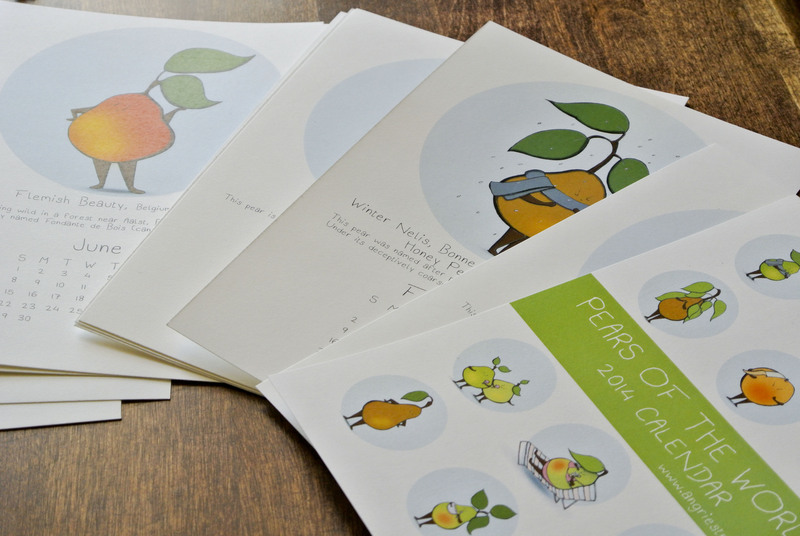 Time to pick your favorite December pear! It was hard to narrow down the choices for this month, but as always, you are welcome to write-in any pear from December not on this list. Review the candidates and then use the poll on the sidebar to place your vote. Voting will end in about one week. Categories: Pear of the Month, pear people | Tags: angry pear, comic, drawing, humor, illustration, Pear of the month, poll, vote | Permalink. It’s time to vote again! Please use the list of candidates as a starting off point. You are welcome to vote for any pear that appeared in November– just write them in! After reviewing the candidates (or deciding on one not listed here) place your vote using the poll on the sidebar. Voting will end in about one week. Pears really like a long weekend! Apparently pears really do love a long weekend, as this post wasn’t even on the ballot. There’s just something irresistible about a bottle of wine, a plate of cheese and luxuriating on the couch all day. Mummy Pear was a close second, losing by only one vote. Categories: Pear of the Month | Tags: comic, humor, illustration, luxiuriating, pear of the month winner, pears, vote, winner | Permalink. Pear of the Month – October! It’s time to vote for October’s Pear of the Month. I had a hard time narrowing down the choices, so if your favorite isn’t in this list, please feel free to write it in! Click on the thumbnails below to read the full post, then use the poll on the sidebar to make your vote. Voting ends in about a week. 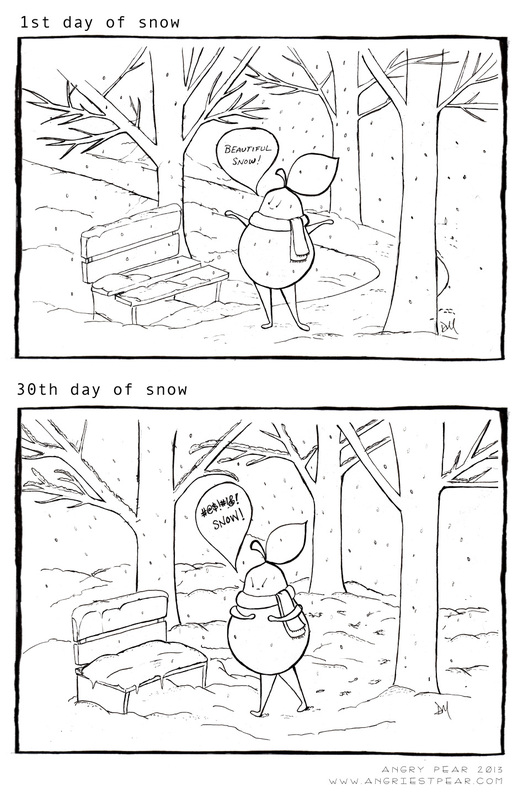 Categories: Pear of the Month | Tags: angry pear, comic, humor, illustration, Pear of the month, Pear people, poll, vote | Permalink. Expearimenting! Click here to read the full post. Despite the mishap in the lab, this scientist pear’s hard work has paid off and is finally recognized. Thanks to everyone who voted! 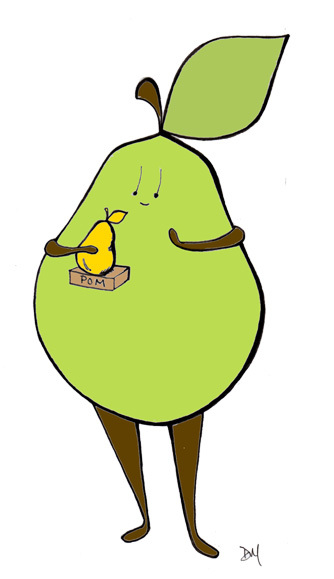 Categories: Pear of the Month | Tags: fruit, golden pear trophy, humor, Pear, Pear of the month, winner | Permalink.